This entry was posted in goodenoughcaring.com on May 8, 2017 by Charles Sharpe. Farhad Dala has reminded us of the next Limbus Lecture in two weeks time (details below). You can book and pay on line via the website. Or come and pay at the door. If you intend to pay at the door, please arrive well before 10.30 to avoid holdups. Abstract: Sally Weintrobe argues that current dominant culture serves neo-liberalism. The culture drives the false belief that we are entitled not to have to face a particular reality. This is that neo-liberalism has led to climate change and social instability and we are caught up in its structures. This talk aims to help open up a conversation that allows us to think together about needed changes in a way that recognises that change may be disturbing, troubling and difficult as well as enlivening. 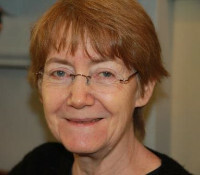 Sally Weintrobe is a Fellow of the British Psychoanalytic Society. Currently she is writing a book on the culture that promotes disavowal of climate change. She edited and contributed to (2012) Engaging with Climate Change, shortlisted for the International Gradiva Prize for contributions to psychoanalysis. This entry was posted in goodenoughcaring.com on May 3, 2017 by Charles Sharpe. Each month during 2017 we are highlighting articles of authors who have contributed to the goodenoughcaring Journal over the years. The first author featured in this series is Cynthia Cross. The articles we have selected are Acceptance, Winnicott and Residential Work and Defensive Adults. This entry was posted in goodenoughcaring.com on March 10, 2017 by Charles Sharpe. The significance of the role of fathers in lives of their children is now given more scrutiny and consideration than perhaps it ever has and Andrew Marchant’s thoughtful comment about Mark Smith’s 2011 article “Dad’s the Word” at http://www.goodenoughcaring.com/the-journal/dads-the-word/ offers further cause for reflection. This entry was posted in goodenoughcaring.com on February 15, 2017 by Charles Sharpe. This entry was posted in goodenoughcaring.com on February 3, 2017 by Charles Sharpe. Farhad Dalal has informed us of the next Limbus talk which will take place at Studio 3, The Space, Dartington Hall on February 25, 2017. The talk Viewing Learning Disabilities Psychotherapy through an Attachment Lens: Theoretical Perspectives & Practical Strategies will be given by Kelly Camilleri & Kathy McKay. If you intend to pay at the door you are asked to arrive well before time to avoid hold ups. Abstract : This talk aims to explore themes around working therapeutically with people who live with labels of intellectual disability, autism and acquired brain injury. What are the psychological sequelae of being born with or acquiring a disability in terms of attachment and early relations? How might therapy need to be adapted to meet individual cognitive or sensory needs? What is the role of trauma in psychological distress and how might this manifest differently in people with these labels? How is power perceived and played out in our systems of care? The talk aims to provide a psychological understanding from a variety of perspectives, with special consideration for the use of Dyadic Developmental Psychotherapy (DDP) for this group and their systems. Within the context of a short term, goal orientated therapy world how can we provide meaningful support which is individually tailored? Dr Kelly Camilleri is an independent Consultant Clinical Psychologist. She qualified 19 years ago from Birmingham University and has since worked with children and adults with learning difficulty, autism, and acquired disability. Kelly has worked in a variety of sectors including the NHS, charity and the private sector. She is particularly interested in the role of attachment and trauma for the individual and their systems. Kelly is a keen proponent on the use of DDP for this group which she feels enables a dual approach focusing both on peoples internal and external worlds. She is on the Division of Clinical Psychology Southwest Committee and is the coordinator for local Psychology Against Austerity Group. Dr Kathy McKay is a Clinical Psychologist who has worked in Learning Disability Services in the NHS since qualifying in 1995. She has also worked in Independent Practice since 2007. Settings have included community Learning Disability teams, In-patient Units and a Secure Forensic Unit. She has also worked in a CAMHS Service in a secure childrens home, and currently provides regular input into a Local Authority Family Centre to support them in taking into account a parents learning needs in their assessment and intervention processes. Kathy has provided training on attachment and trauma in learning disabilities, and further on creating attachment friendly environments in a number of the aforementioned settings. Like Kelly, Kathy has completed training in DDP, which was a driver for this area of work. This entry was posted in goodenoughcaring.com on January 27, 2017 by Charles Sharpe. This entry was posted in goodenoughcaring.com on January 11, 2017 by Charles Sharpe. The final scheduled issue of the goodenoughcaring Journal is now online. Articles submitted or commissioned in the future will continue to be published but regular readers will we relieved to know that after the next one they will know longer have to read the promotional email we send out to you every six months. This issue is an interesting and informative one, a challenging one, a controversial one and perhaps a disturbing one. We would welcome and encourage your comments on any of the articles. Dr. Elaine Arnold tells of the significance education held for immigrants to the United Kingdom from the Caribbean while Margaret Hughes recollects the City of Birmingham’s efforts to meet the social and educational needs of immigrants from the Indian sub-continent and elsewhere in the 1950s,60s,70s and 80s. Alex Russon reflects on relocating with his young family from the midlands of England to the north-east of Scotland and Justin Frost reviews three feature films which deal with divorce, parenting and family break up. Cynthia Cross examines the issues which can lead to a cycle of disruption in residential child care. Maurice Fenton proposes and develops the concept of ‘relationship based self-care.’ In a further article he contemplates the notion of ‘vicarious confidence’ in the care of children and young people and Simon Blades reviews Maurice’s latest book ‘The Stolen Child’. Colin Maginn proposes that we can do better than good enough caring. John Stein recalls how times have changed in child and youth care. In a second article Elaine Arnold argues that aspects of attachment theory remain significant throughout life. Mark Smith has written a startling, challenging and important article on the prosecution of those accused of child sexual abuse. In his editorial Charles Sharpe has attempts a brief explanation of what those who founded the Journal believed goodenoughcaring to be and with it he provides a brief history of the goodenoughcaring Journal. We hope you find something to interest you in this issue. We’d like to thank all the people who have written for us and helped to built up this superb archive about children growing up and about the adults who care for them and educate them. Each piece of writing is interesting and thought provoking. The archive will remain open for everyone who is interested in the nurturing of children. News items will continue to appear on the home page and occasional articles will be published when they are submitted. Finally we would like to thank the hundreds of thousands of people who visit and read the Journal. It is good to be part of this community. This entry was posted in goodenoughcaring.com on December 15, 2016 by Charles Sharpe. Elaine Arnold writes about the significance education had for immigrants to the United Kingdom from the Caribbean while Margaret Hughes recollects the City of Birmingham’s efforts to meet the social and educational needs of immigrants from the Indian sub-continent in the 1950s,60s,70s and 80s. Alex Russon considers the implications of relocating a family to another region and Justin Frost reviews three feature films which deal with divorce and the break up of the family. Cynthia Cross considers how to break the cycle of disruption which exists in residential child care. In a further article Maurice Fenton contemplates ‘vicarious confidence’ in the care of children and young people and Simon Blades reviews Maurice’s latest book ‘The Stolen Child’. Colin Maginn proposes that we can do better than good enough caring and in response Charles Sharpe writes briefly about the history of the goodenoughcaring Journal and the idea of good-enough caring. This entry was posted in goodenoughcaring.com on December 13, 2016 by Charles Sharpe.